Four battalions of the Russian military police formed in the Southern Military District are currently carrying out tasks in the Syria de-escalation zones, Russian Defense Minister Sergei Shoigu said Wednesday. MOSCOW (Sputnik) – Earlier, the head of the Russian delegation at Syria peace talks in Astana said that Russia's military police in the de-escalation zones in Syria will carry only light weapons. "Four military battalions were formed, which are currently carrying out tasks in security areas of the de-escalation zones on the Syrian territory," Shoigu said at a ministerial meeting. Earlier, Viktor Ozerov, the chairman of the defense and security committee of the Federation Council, the upper house of Russia's parliament, said that if necessary, Russia may boost its military police contingent in Syria for work in de-escalation zones. 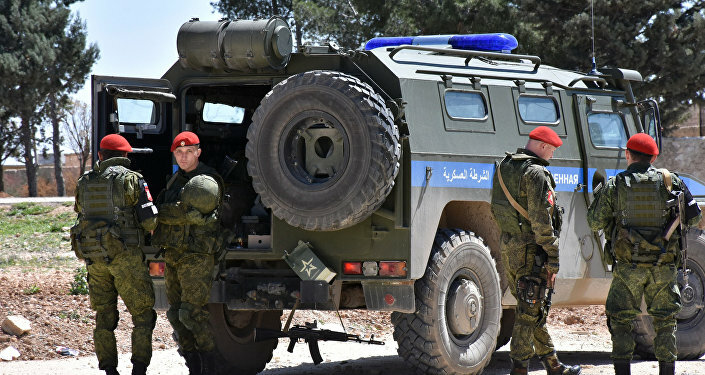 For the first time, Russia deployed a military police unit to Aleppo in the end of 2016. The fourth meeting in Astana format in May was a breakthrough, as the three ceasefire guarantor states signed a memorandum on the establishment of four de-escalation zones in Syria. Monitoring over the de-escalation zones is now the main topic on the agenda of the fifth meeting in the Kazakh capital.